Supporting the core costs of the Bioregional Learning Centre in it's start-up phase, whose work is aimed at increasing the scale, pace and efficacy required to make community innovation, local economics, and regeneration of place happen. £10,000 over one year. 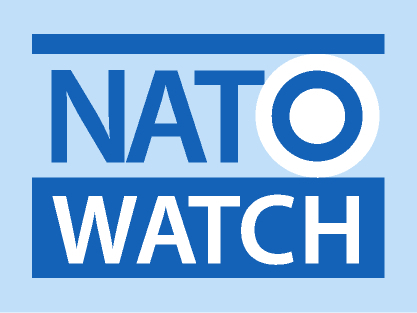 Provide independent monitoring, information and analysis of NATO policy, increasing transparency, parliamentary engagement, and broad public awareness and participation in its processes. £5000 over one year. Promoting information and dialogue on the role of the fossil fuel industry and UK institutional investors in it, so that the likelihood of global environmental breakdown due to fossil fuel extraction and use is reduced. £20,000 over two years. To increase awareness of the United Nations talks aimed at creating an international ban on nuclear weapons and to make progress in Britain towards nuclear disarmament through challenging the prevailing dialogues on security. £20,000 over two years. Promoting an integrated understanding of climate, energy and economics, and thus acting as a bridge between civil society, policy-makers and the work of climate scientists, renewable energy experts and alternative economists. £45,000 over three years. To support their work in the areas of peace-building and sustainability security and in particular to support the development of a Sustainable Security Index. £45,000 over three years. To support the work of the 'Good Friday Agreement 20/20: Our Vision' project - to reflect on the twenty years since the Good Friday Agreement was signed, give voice to marginalised people in Northern Ireland, and identify what still needs to be done to ensure lasting peace in the region. £20,000 over two years. To support a review of work undertaken over the last five years and the development of a strategic plan for the future of the organisation. £3572. To support human rights defenders, humanitarian aid workers, peacebuilders, environmental defenders, independent journalists and others striving for social and environmental justice or protecting vulnerable communities, through the provision of support and open source intelligence to organisations and individuals, particularly those working in or on fragile and conflict-affected states or under repressive regimes. £20,000 over two years. A review of our grant-giving from 2000-2010 can be downloaded here PPCF Review 2000-2010.pdf. It should not be used as a guide to future grant-giving.